The Jerusalem Prosopography Project (JPP) was founded around 2003 by Professor Michael Lecker of the Hebrew University, one of the pioneers in the field of Digital Humanities in Israel. Lecker grouped together different people from various disciplines and created the first Prosopographical database in Israel. This internet-based fully relational database was originally shaped for recording the people active in the early Islamic administration. 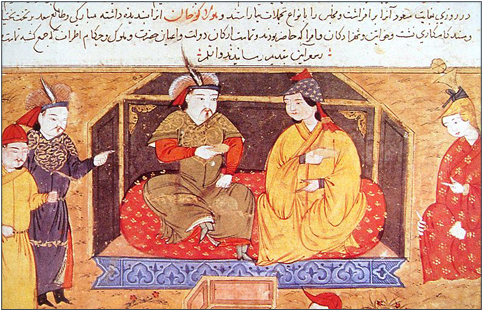 Our current database, called JPP-SPRING, aims at recording the surviving information about the individuals who were active under Mongol rule in the 13th and 14th centuries. It has been built upon the JPP infrastructure, but adds variuos new features, developed specifically for the Mobility project. This database works in multiple languages and is conducive to a highly-nuanced classification of people and reports, notably by its ability to assign keywords of various levels to each report and person. It enables the researchers to highlight the connections among various people, places, and activities and to reconstruct the networks that were active across the empire and beyond its frontiers. The databased is developed by a team of programmers headed by Alon Klein-Orbach under the guidance of Michal Biran and according to the projects' needs. Features that are now under construction are graphical representations of various relationships and adding a GIS framework.